The New Yorker Hotel is a city landmark for many reasons. It’s iconic art deco sign is well-known worldwide, but its history is even more fascinating than you could imagine. To illustrate this, let us take you on a journey through time to show you what it would’ve been like to be a guest between the 1930s and 1960s. 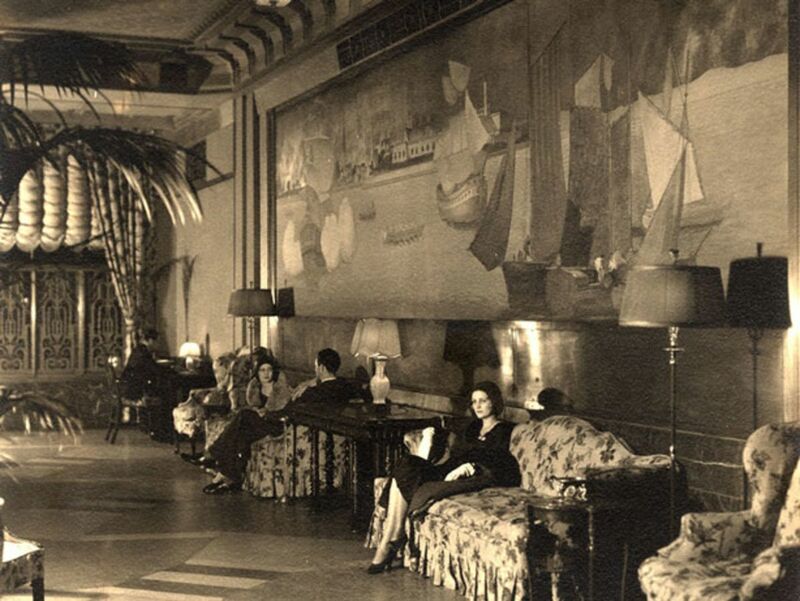 When the hotel first opened in 1930, rates were $3.50 per night, which would equal to about $52 today. Not bad, for a brand new luxury hotel in the heart of Manhattan! One unique amenity was a private entrance to Penn Station. Although this is now out of service, back then, guests could take a train, exit the station and head straight to their hotel. Talk about convenient location! 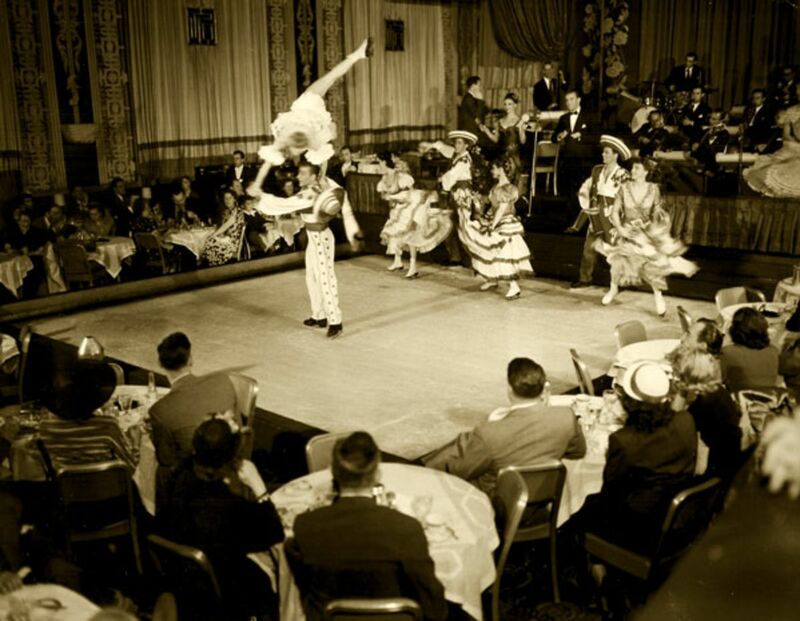 From hosting the best bands of the big-band and era, to holding balls and ice shows, The New Yorker Hotel was an entertainment hub for New York’s elite. The Terrace Room was the beating heart of the hotel, where a dance floor and band stage once stood. Furthermore, the Terrace Room had a retractible floor that uncovered a refrigerated ice rink. This gave way to stunning “ice shows” that featured dancers and acrobats. One of the most remarkable characteristics of the hotel was its state-of-the-art technology. 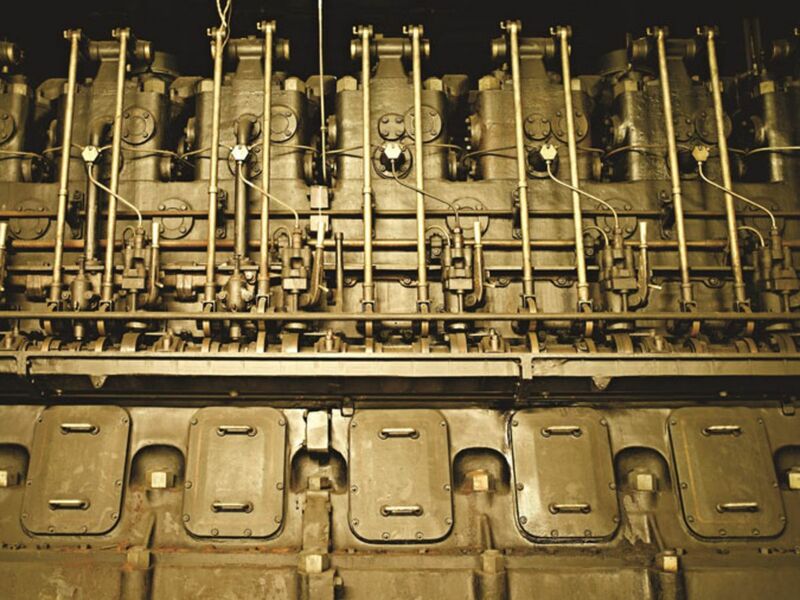 From day one, the hotel had its own direct-current power station, which was the largest private generating plant in the United States until 1967. 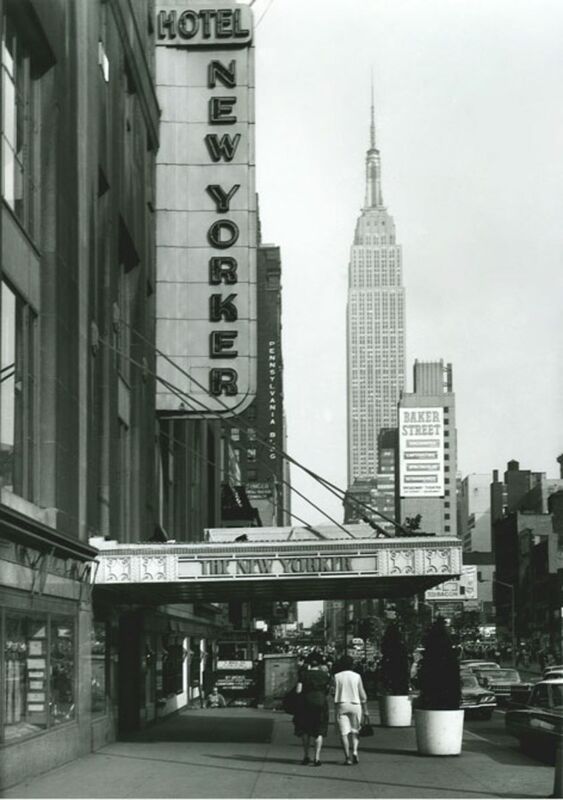 Given the popularity of the big-band shows at The New Yorker, NBC began broadcasting live the performances from its very own radio station installed at the hotel. 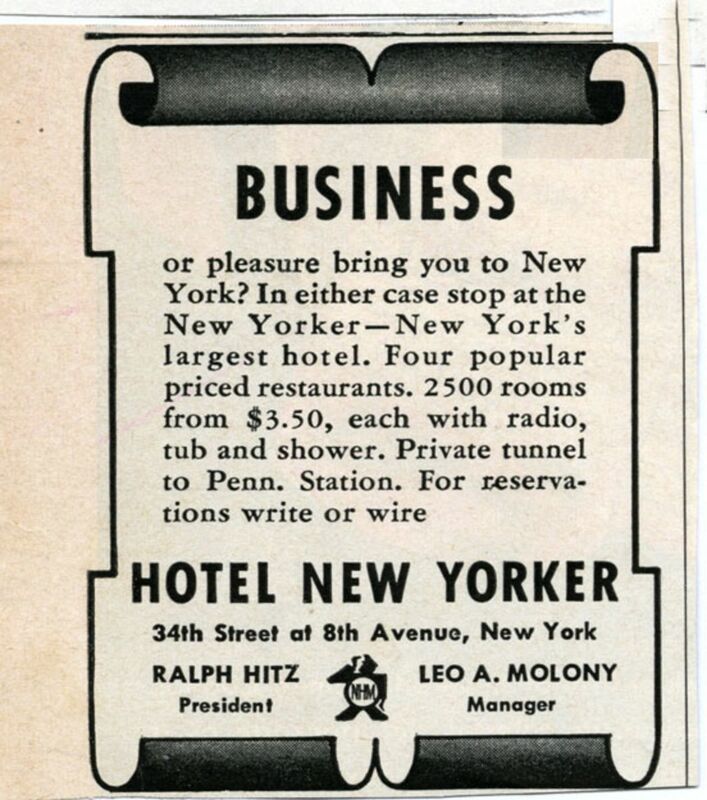 What’s more, in the 30s, every New Yorker Hotel guest could listen to the radio from the comfort of their rooms. On any given day, a guest at The New Yorker Hotel could have come across major celebrities of the time. Athletes like the Brooklyn Dodgers baseball team and Muhammad Ali, political figures like Franklin D. Roosevelt, Robert Kennedy, and Fidel Castro, and celebrities like Joan Crawford, Lana Turner, and Mickey Rooney, stayed at the hotel. 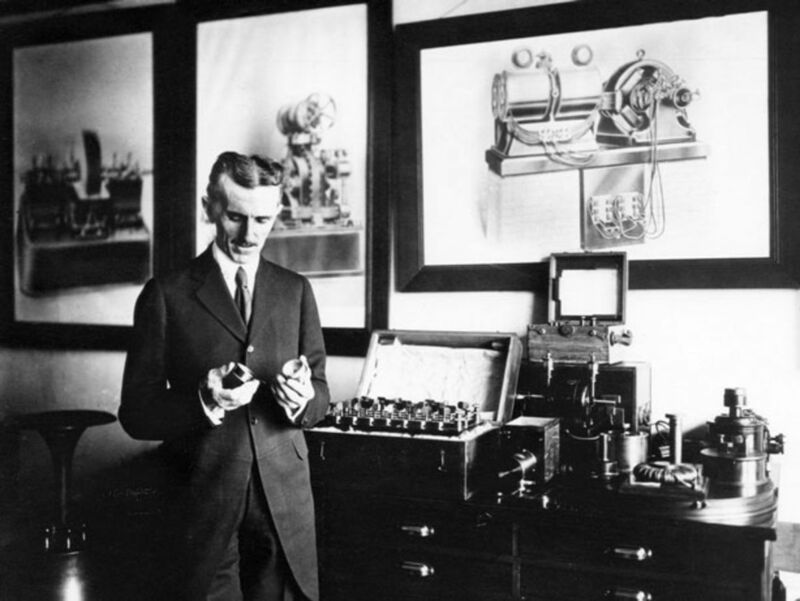 Read about Nikola Tesla and The New Yorker Hotel in our blog. If you want to know what happened at The New Yorker Hotel after the 60s, check out our post on A Brief History about The New Yorker Hotel’s Past. Experience the hotel’s interesting history for yourself. Book a modern room in our classic art deco hotel in the heart of Manhattan. Consult our hotel deals and save on your next trip to New York.